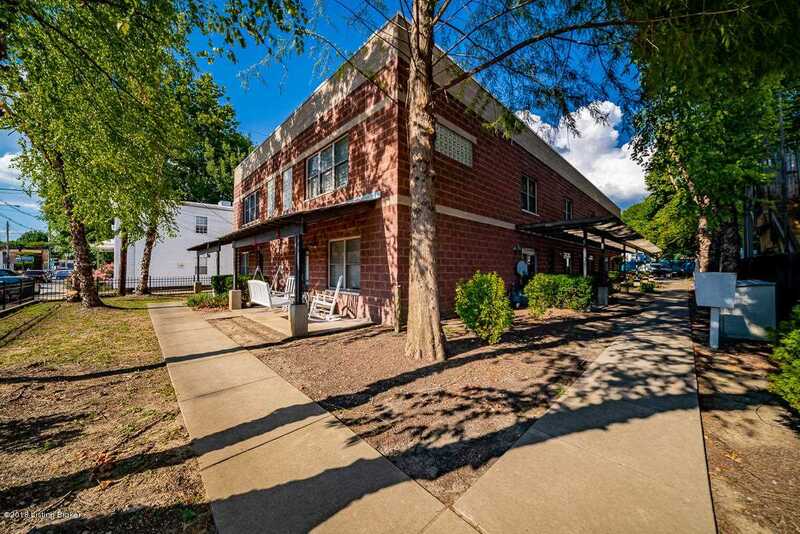 Awesome 2 bedroom, 2 1/2 bath condo unit in the heart of the highlands and minutes from downtown. This unit has a very open floor plan with 9ft ceilings on first floor. Huge kitchen with maple cabinets and stainless steel appliances opens to living room and large dining area. 1st floor also offers a large half bath. Upstairs are 2 huge bedrooms with 12 ft. ceilings and exposed beams, and 2 full baths. Each bedroom has large walk-in closets. The master bath has 2 separate vanity areas and separate shower. Laundry area is upstairs. Outside has covered patio and 2 parking spaces in private lot. Large dining area is not pictured in photos. Directions:Barret Avenue between Winter Avenue and E Kentucky Street. SchoolsClick map icons below to view information for schools near 1015 Barret Ave #2 Louisville, KY 40204.